The brakes on your car are an important component. Without brakes that work properly, you’re not going to be able to stop as quickly while driving as you would using brakes that are in the best condition. 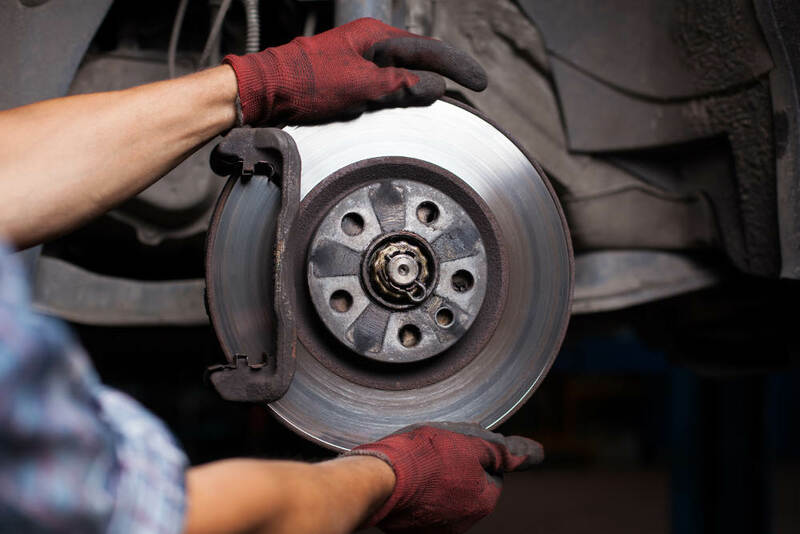 Road Runner Auto Care in Apple Valley can examine the brake pads, rotors and other parts of the braking system to ensure that everything is functioning as it should. One of the ways that you can tell if something might be wrong with the brakes is by listening to how they sound. If you begin to hear squealing from the brake pads when you try to stop, then the pads likely need to be replaced. 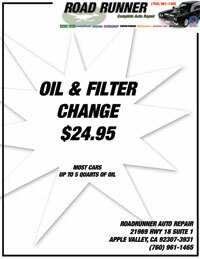 Road Runner Auto Care in Apple Valley can change the brake pads in a short time. There might be a bit of noise coming from the new pads, but this should go away once they are seated to the rotors and the dust has worn off from them. Cheaper brake pads usually have more dust on them and sometimes create a squealing noise longer than pads that are more expensive. If you hear any kind of grinding coming from the brakes, you need to get the system checked by Road Runner Auto Care as this is usually a sign that the rotors need to be turned or replaced. When you depress the brake pedal while you’re driving, pay attention to how long it takes for the car to respond and how far the pedal goes to the floor. If it feels like the car isn’t responding to you braking, then there might be an issue with the pads or a lack of brake fluid in the car. If your car is losing brake fluid, you need to get a Road Runner Auto Care mechanic to check the lines to see if they are intact or if there are any issues with them as this is usually how brake fluid exits the car.